Are you or your students preparing to take the CRRN exam? 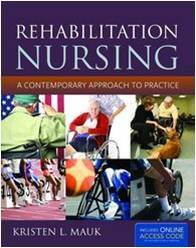 We recommend Rehabilitation Nursing: A Contemporary Approach to Practice by Kristen L. Mauk. 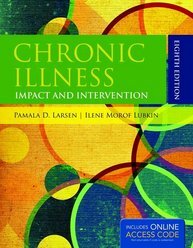 Rehabilitation Nursing: A Contemporary Approach to Practice is a clinically-focused text designed to integrate rehabilitation into an academic curriculum, educate nurses new to the specialty, and aid practicing nurses preparing for certification. Incorporating competencies set forth by the Association of Rehabilitation Nurses (ARN), it includes key terms, learning objectives, case studies, critical thinking, personal reflection, resources, and web links.